I don’t know about you, but my oldest, Ari, is obsessed with key chains! He has about 20 on his backpack! 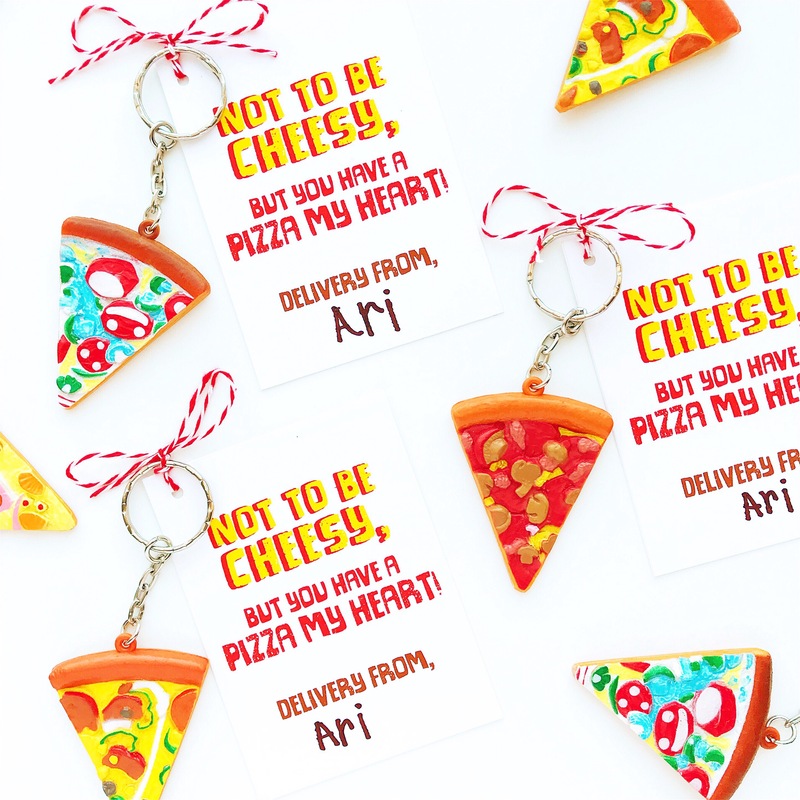 These weird little pizza key chains are what he’s giving his class this year. Last year was the slap bracelets, which were a big hit! 1. 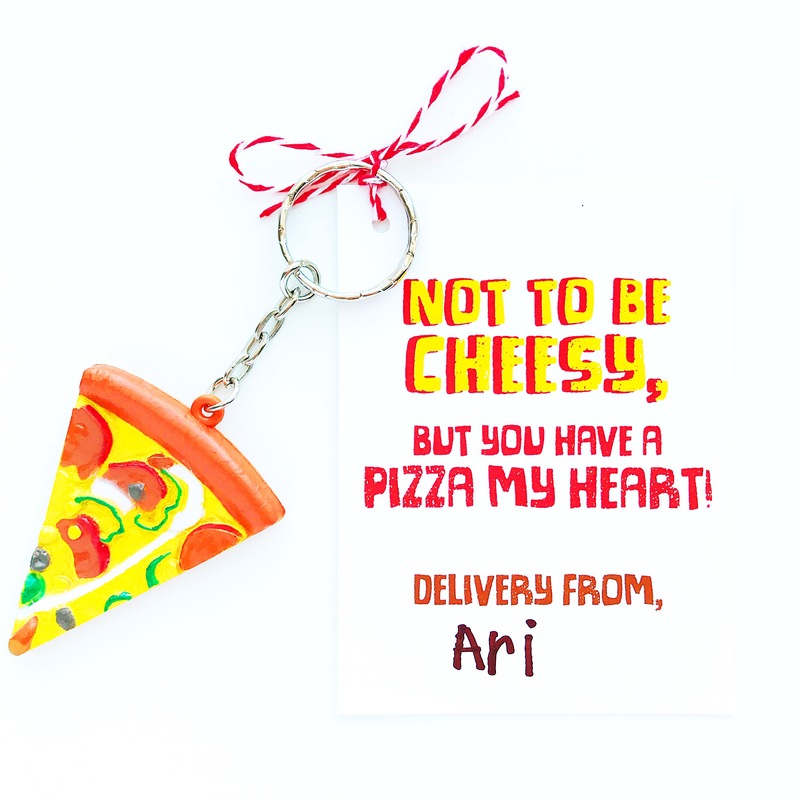 Purchase pizza key chains HERE . One order comes with 24 pizzas, $0.50 each! 3. Print on white card stock. THIS is our favorite for really good quality colors! 4. Cut right on the lines using a paper cutter. THIS one is the best for seeing where you’re cutting. 5. Punch a hole in the top left corner using THIS size punch. 7. Tie a slip knot and then tie the key chain on securely and make your kiddo write their name 🙂 THIS brown is great! To download our other free Valentine printables, click HERE!